HomeDr. 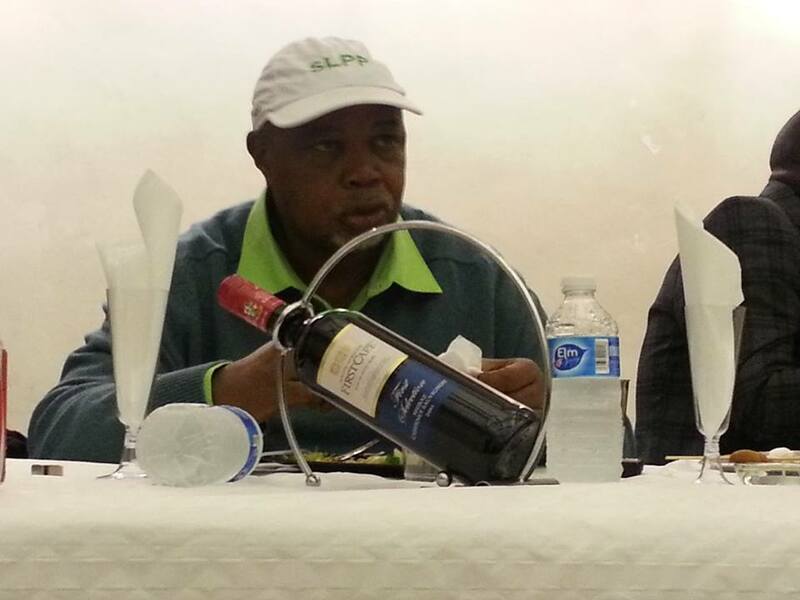 Sama Banya - PuawuiSLPP – what prospects for a settlement? 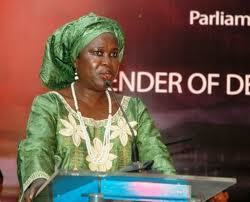 It has been a sad week of nightmares for the general membership of the opposition Sierra Leone Peoples’ Party (SLPP). There was already trouble in the party, emanating particularly from the fallout of the Delegates’ Conference in Bo in August 2013. And the faction led by Ambassador Alie Bangura, has up to now refused to accept the results of the elections, which were held at the end of that conference. Efforts to reconcile them with the new executive would not even take off, because the group has refused to have anything to do with the Peace and Reconciliation Committee – under the chairmanship of Dr. Alpha Wurie, which was set up by the new leadership of the party. Sadly, the matter has ended before the courts. While well meaning and patriotic members have continued to ponder how to overcome the problems, a new complication came into play, accompanied by all the wrong publicity which has definitely NOT BEEN in the interest of the party. Yes, the minority Parliamentary leader (Photo: Below) was granted an injunction from being sacked by the majority of her colleagues. But even that event was linked to the existing quagmire. That particular affair had weakened the official opposition to such a degree that, the ruling party is now having a field day in parliament. Sierra Leone must be the only democratic country, where the sacking of a number of ministers does not call for an intensive parliamentary debate, in which the opposition might even table a ‘no confidence’ motion in the government. However, the opportunities have been allowed to pass without as much as a quiver. Up to Wednesday the general membership and the party’s patrons had continued to wonder whether there was any way forward. Mercifully and hopefully, there are now very strong indications that indeed there is, and that way has emerged by what I can only describe as Divine intervention. In the first place, a small group of well meaning and concerned members and sympathizers has been quietly laying the foundations for a peaceful settlement among the warring factions. The pronounced suspension of the national chairman and leader along with the secretary general – by the deputy chairman and the party’s regional chairmen, followed by the revenge suspension by the said chairman and leader of the perpetrators of the so called palace coup, was like a musical comedy chairs that threw a spanner in the works, with strong reverberations. But the deputy chairman and leader would appear to have “acknowledged his transgression” and has now declared publicly that the two very senior officials were still in their posts. Who knows, perhaps by the time readers see this column the national chairman would also, have realized the folly of his hasty unconstitutional revenge sacking of his deputy and the national publicity Secretary. In the meantime, and as the peace and reconciliation committee continue their herculean but not insurmountable task, the national chairman (Photo: Chief Kapen) has called a general meeting of all stakeholders. It is my hope and prayer that among the invitees are Ambassador Alie Bangura and his colleagues, as well as representatives of Retired Brigadier Julius Maada Bio who is allegedly away in Britain – would all attend. The national chairman is notorious for saying the most outrageous things at the most inappropriate times. Our party has a surfeit of eminent men and women, some of whom have thrown their weight behind the efforts at seeking binding and permanent peace. It is now the responsibility of the rest of us not to pour fuel on these troubled waters, but for all of us together to work assiduously, not for any individual or faction, but for the general interest and wellbeing of our noble party. 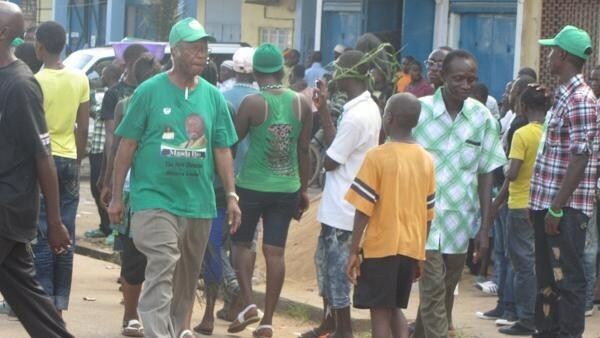 I have dedicated myself to the welfare of the SLPP, and would never abdicate what I regard as a sacred responsibility. But because I have been in the forefront of these types of negotiations for some considerable time, I have deliberately advised myself to take a side seat and leave matters in the hands of a new crop of peacemakers. 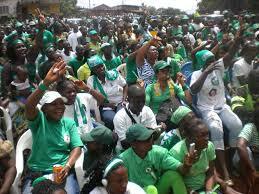 Long live the Sierra Leone Peoples’ Party. Victory will be ours in 2017 if we can only lay personal interests and ambitions aside and put the interest of the TORKPOI supreme.